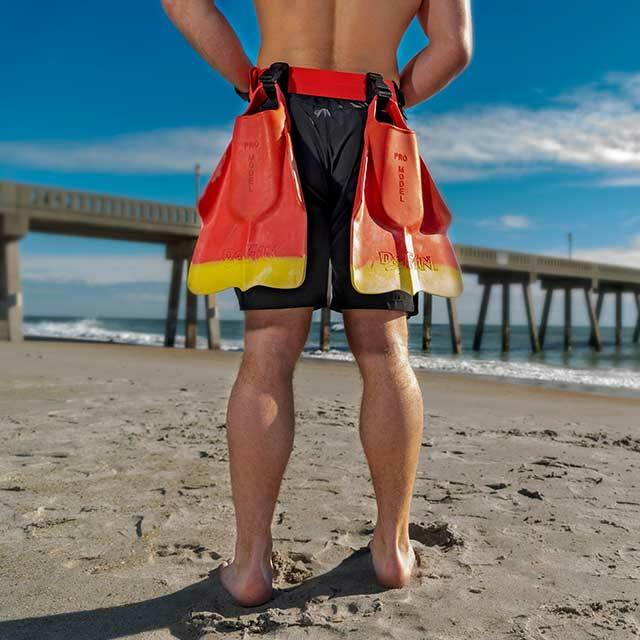 The P2P Fin Belt is hand-made and constructed of durable, mold and weather resistant “seat belt” material with a quick-release clip on front, adjustable length waist, two adjustable quick clip loops for two swim fins, and front loop for PWC lanyard kill switch. 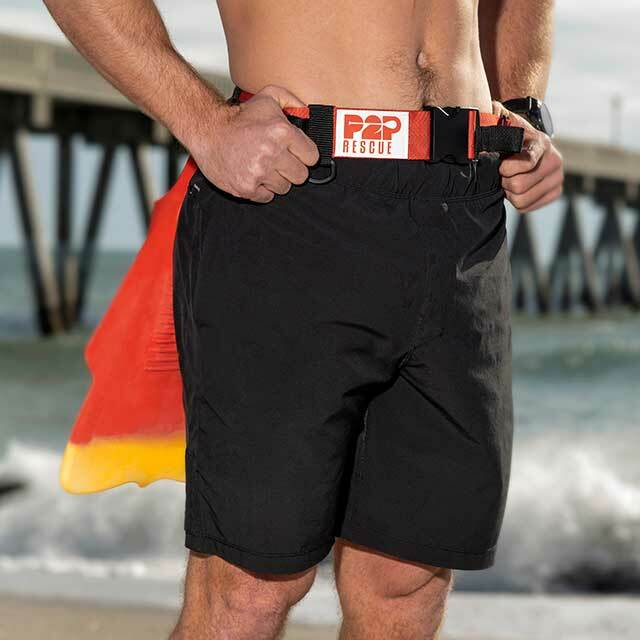 The P2P Lifeguard Utility Belt is hand-made and constructed of durable, mold and weather resistant “seat belt” material with a quick-release clip on front, adjustable length waist and two adjustable quick clip loops for two swim fins. The Lifeguard Utility Belt also includes a solid rubber core handle stitched on the back-strap for additional “grab points”, utility knife holder, carabiner clip loops, two plastic D-rings for bino, radio or other utility attachment and front loop for PWC lanyard kill switch. 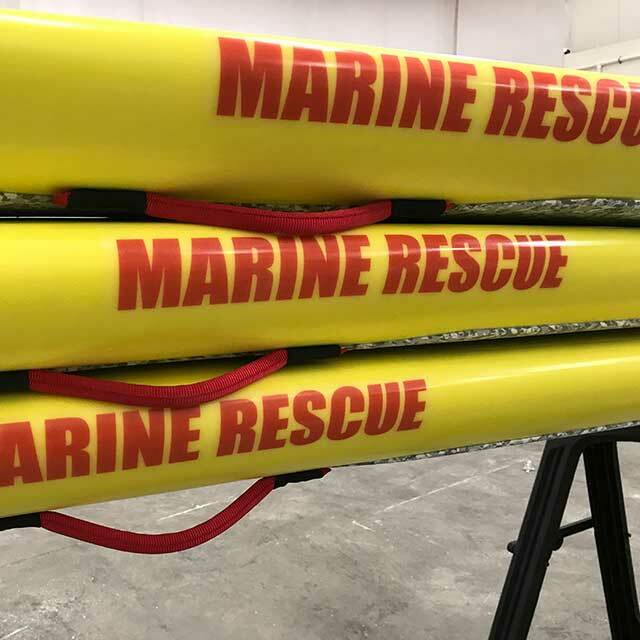 Custom “BEACH PATROL” or “MARINE RESCUE” lettering on the side rails helps to identify a specific unit or department. Price includes two prints of the custom lettering which is applied using epoxy resin under fiberglass for protection of exposure to the sun and elements. Labeling equipment with your agency or department emblem has numerous advantages. Primarily for security and visibly showing ownership of the rescue board. Color options are available as well as black and white printing. 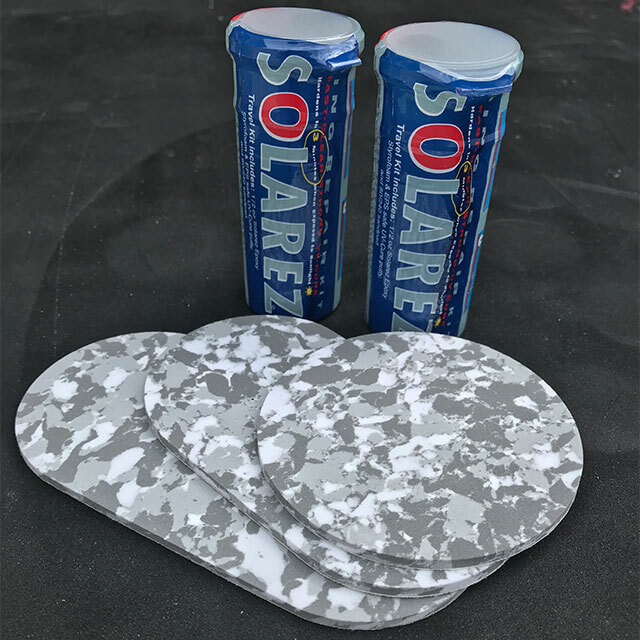 Price includes one print of the emblem which is applied using epoxy resin under fiberglass for protection of exposure to the sun and elements. 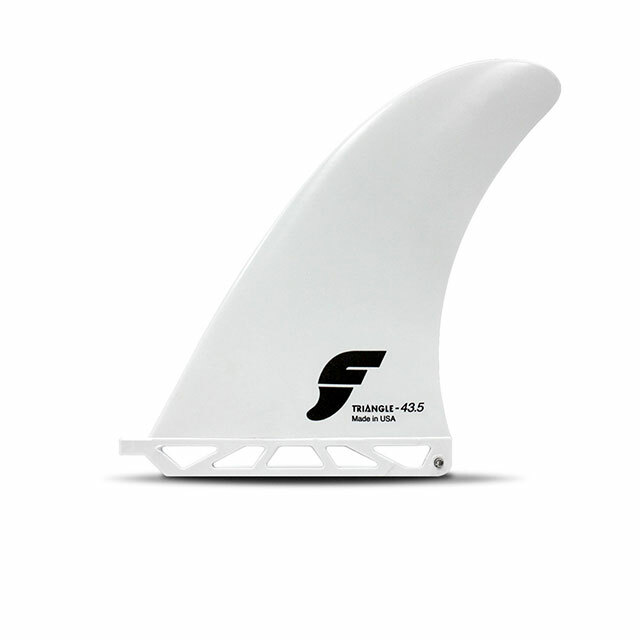 Thermotech fins do not have the traditional plastic feel of a composite fin. Instead they have a consistent flex that creates drive and release through turns. 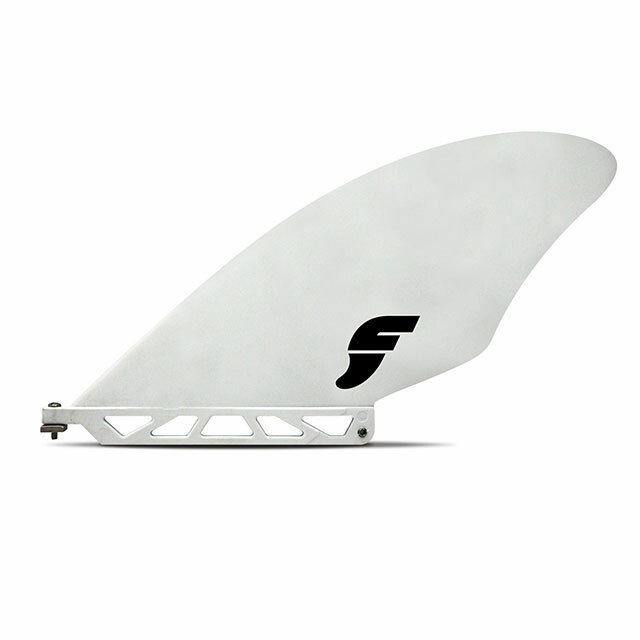 Thermotech fins come with the Futures Truss Base, making them lighter and stronger. Designed for flat water paddling and shallow depths make it perfect for shedding lake grass and dodging shoals. 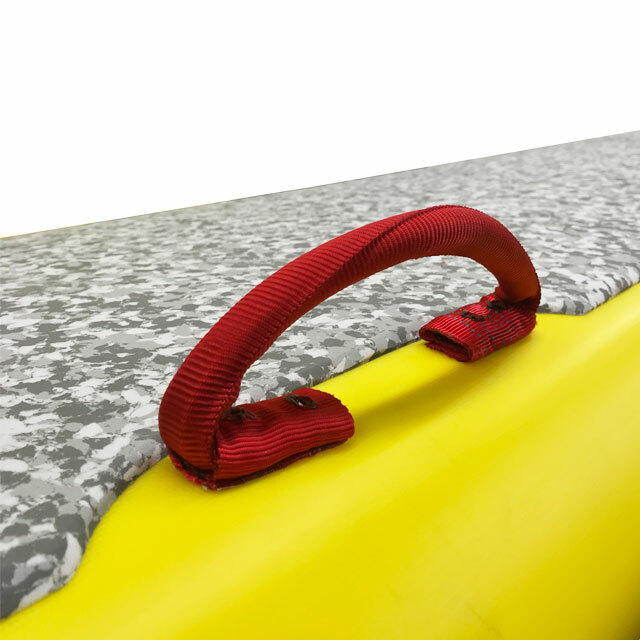 Smooth rail tape is designed to protect the rails of boards from nicks and scratches. The smooth tape will not create drag on the rails. Kit includes #2- 3″X72″ clear rail tapes, nose guard primer, and easy to follow instructions. P2P Nose Cones are constructed with UHMW (Ultra High Molecular Weight) plastic covering reinforced with EVA for additional padding. Single nose cone can be replaced or purchased as a kit for replacement of all attachment parts. 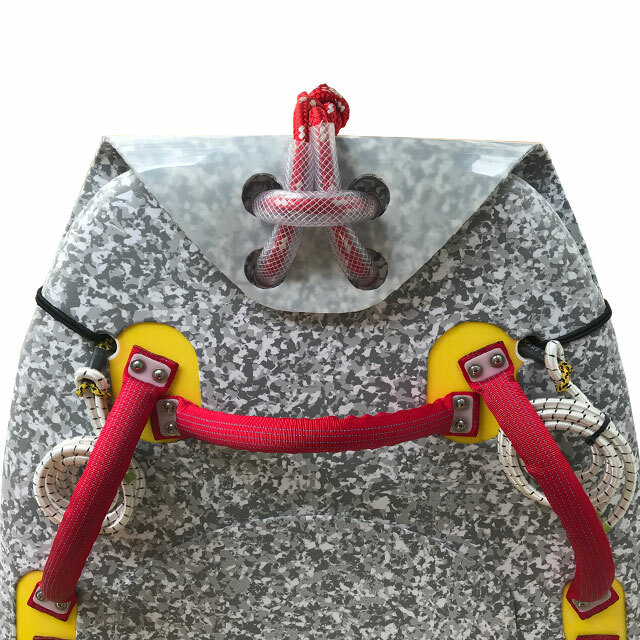 Kit includes nose cone (with padding), rope with vinyl tubing, 4′ of 6mm black bungee for pass thru holes, 2 para-cord strap loops with stainless steel washer and 12′ total (6′ each) ½” stabilizing bungee. 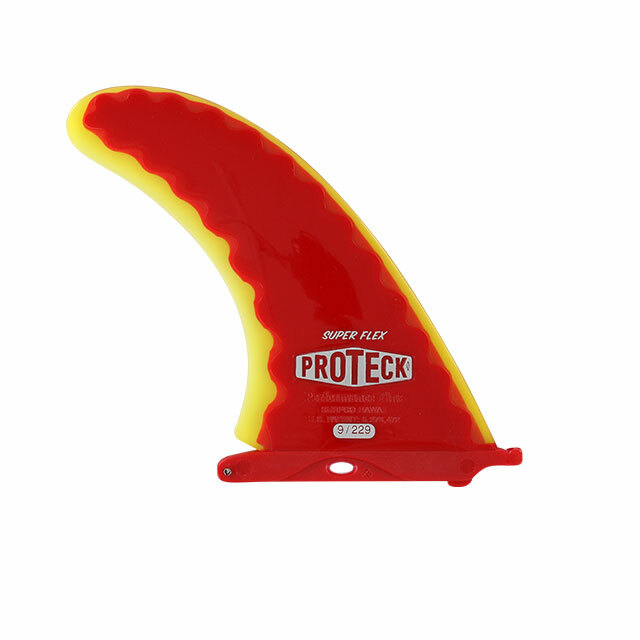 P2P Surf Rescue and Lifeguard Rescue handles are constructed with an interior solid rubber core surrounded with an exterior high visibility red webbing for strength. Pricing includes two handles with 4 stainless steel screws/washers. 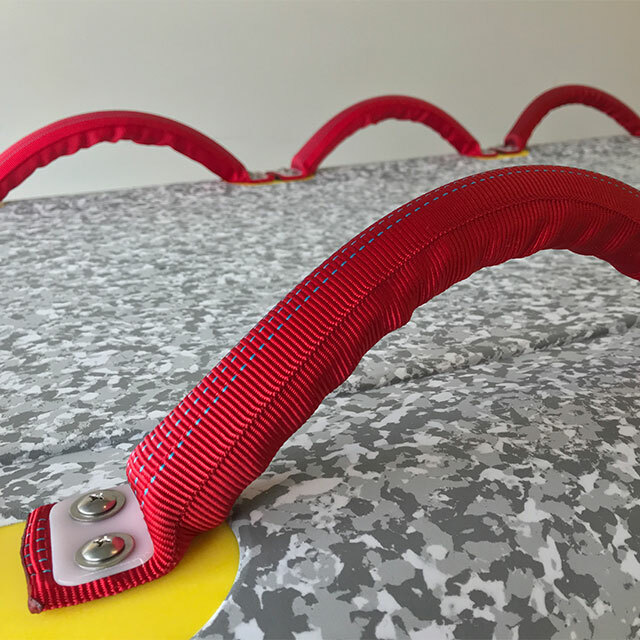 Rescue Sled handles are constructed with an interior solid rubber core surrounded by firehose-type tubing with an exterior webbing for strength. 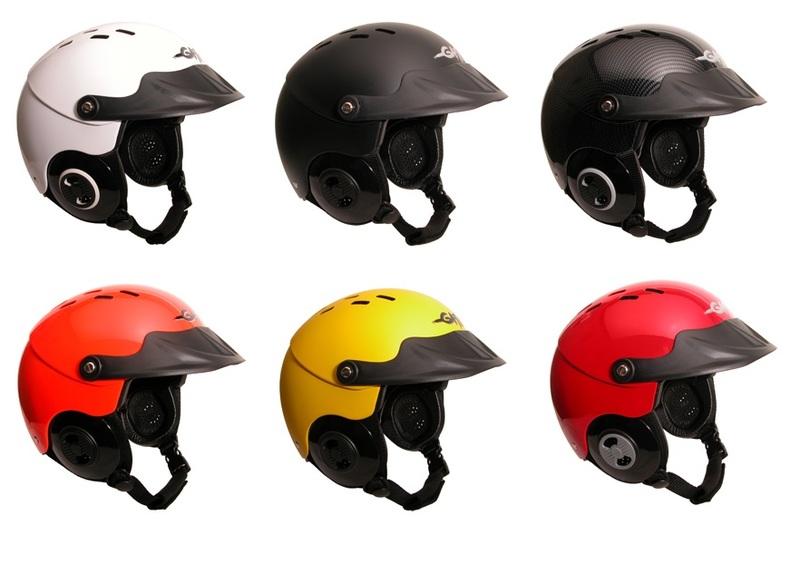 Handles come in high visibility RED or BLACK. Pricing includes two handles with 4 stainless steel screws/washers with additional UHMW (Ultra High Molecular Weight) covering washer. 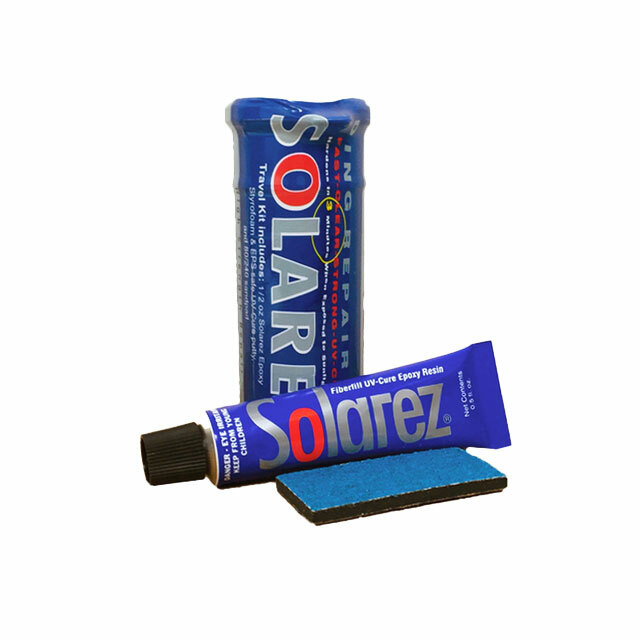 Ding Repair kit includes two SOLAREZ Epoxy repair kits with clear, high strength, fiber reinforced epoxy resin with a solar activated catalyst. It gels in 5 seconds, curing in 3 minutes – but ONLY when exposed to sunlight. 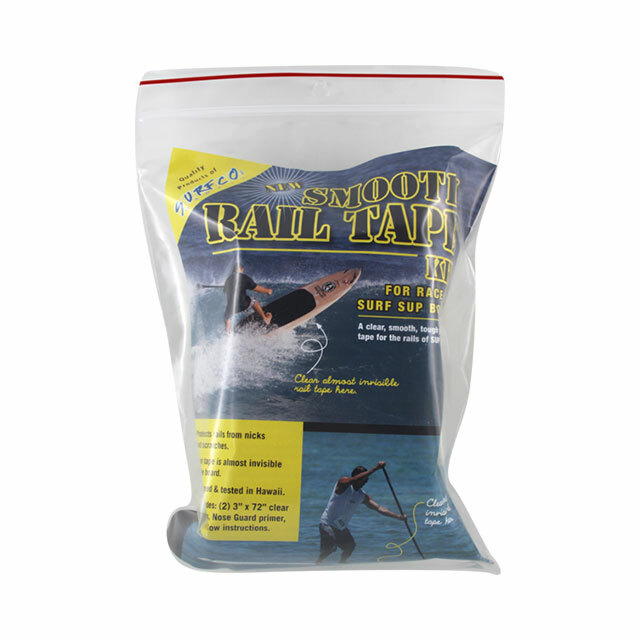 Comes with 60/240 grit sand pad in a crush-proof watertight plastic capsule. Also included are replacement swatches of EVA traction pad for the scrapes and nicks that occur during normal wear and tear. The Werner Vibe Adjustable Paddle designed with a dihedral blade, the ridge down the middle of the power face, allows for smooth and stable forward paddling. The fiberglass shaft features the 16” LeverLock adjustable system. 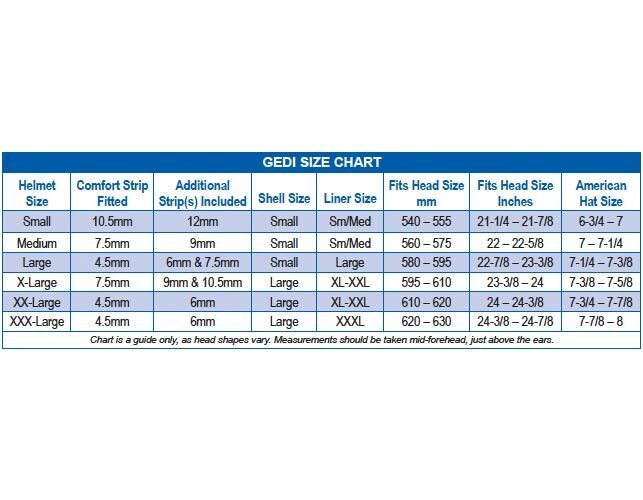 One-size fits paddler heights between 4’10” and 6’2″ with easy on-the-fly adjustment. Injection molded blades are impact and wear resistant. 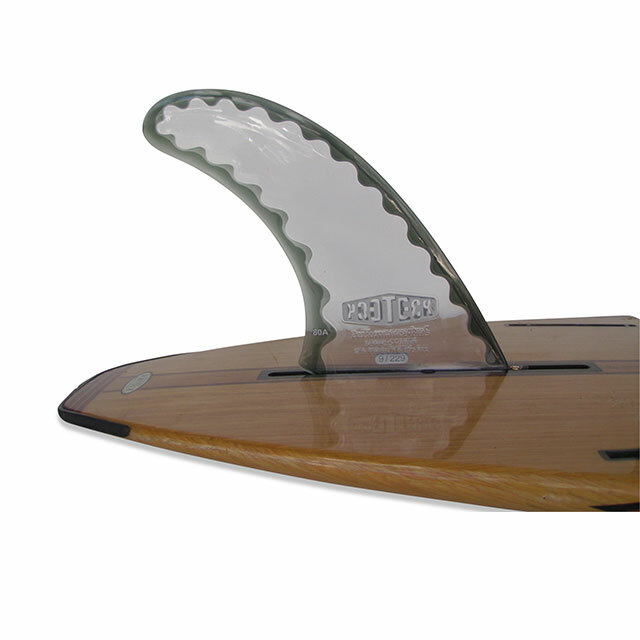 They have light swing weight, while maintaining the design elements that are direct from our more advanced paddles. 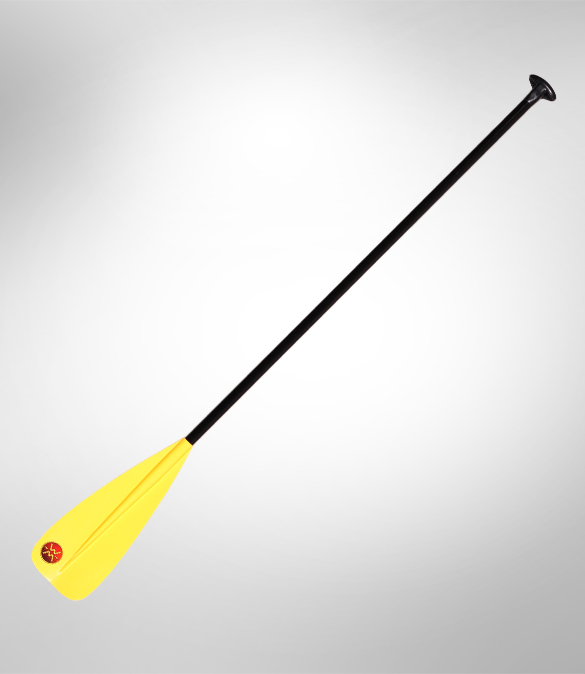 Smooth, stable strokes for easier paddling.